With Taylor Swift once again dominating the headlines, it would be easy to overlook last weeks album releases. However I'd advise you to hit Youtube, Spotify, Amazon or your nearest record store as soon as you can, because 'All We Know Of Heaven, All We Need Of Hell' is beyond praise a mere mortal like I can give. It is an album that will stay with you long after the 20th listen, and have you debating endlessly over which track is the best. SPOILER ALERT! They all are. That's what makes PVRIS such a fantastic band. They are completely and utterly incapable of making a bad song, and every song sound that little bit better than previous, but you still love it all the same. I've listened to a number of albums this year from some incredible Artists, and they are all good albums in their own right. However none of them can touch PVRIS. If I were to go through the album song by song, you'd probably be reading this article for the next 84 years. Instead I'll attempt to narrow this down to my top 5. The chorus of 'Anyone Else' will be stuck in your head for days. 'Walk Alone' starts off as a ballad before breaking off into a brilliant drum and bass chorus which I absolutely adore. 'Same Soul' is beautiful musically with a magnificent chorus and lyrics that completely gut you. 'What's Wrong' was a fantastic lead single that really sets the tone of the album, and I don't have any words that can properly describe just how great 'No Mercy' is. There has been some critic from fans that 'All We Know Of Heaven, All We Need Of Hell', shows no progression from their debut album 'White Noise'. That's a critic I completely disagree with and have to wonder what exactly these people are listening to. There's no doubting 'White Noise' is a great debut album, but AWKOHAWNOH takes PVRIS to another level. Production, lyrically and indeed musically it is so much crispier. Then there are those who claim 'Anyone Else' isn't a good song, which is just blasphemy. 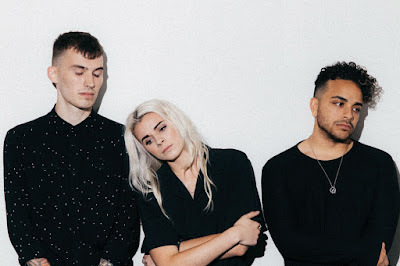 The only critic I could possibly give PVRIS is narrowing the album down to just 10 songs, but that's simply because I'm greedy and the more PVRIS the better.